Like almost anything to do with wine, tannin management starts in the vineyard. The level of tannin will depend on the grape variety as well as factors such as harvest date, temperature, and sun exposure. For example, the sundrenched Central Otago region in New Zealand, averaging 1973 hours of annual sunshine, results in deeply coloured, structured Pinot Noirs. The wines are distinctive for a variety that is generally pale hued with low tannin levels. Phenolic or physiological ripeness is a loaded term that is often used during harvest. Although it may refer to a number of factors – there are thousands of phenolic compounds – it is commonly used in reference to skin and seed ripeness. The idea is that properly ripe fruit should have soft tannins. In some cases, this may necessitate long hang times prior to harvest to achieve the desired tannin profile. But, interestingly, the level of skin tannin does not significantly change in the weeks before harvest. Rather, the level of anthocyanin – or colour – increases over the four weeks prior to harvest. In other words, anthocyanin is a critical indicator of phenolic ripeness. To be sure, the colour of a wine does not relate to its quality. Think of Pinot Noir or Nebbiolo, for example. However, anthocyanins do something else: they bind with tannins to form polymeric pigments, adding body and creating a softer tannin profile in red wine. This starts on the vine, but occurs mostly during fermentation and maturation. And this can be why it’s difficult to taste for soft tannins. The tannins have only started to be modified by anthocyanin before they’re harvested. The other risk is going too far with hang time. Anthocyanin levels decrease as fruit becomes overripe. This is largely because anthocyanin continues to bind with tannin to form polymeric pigments. However, wines with very high polymeric pigment levels are overly developed and oxidative. Put simply, the resulting wines taste older than they should. Think of undesirable flavours such as stewed prunes or barley sugar. Again, it can be difficult to taste oxidative characteristics before the fruit has been picked. 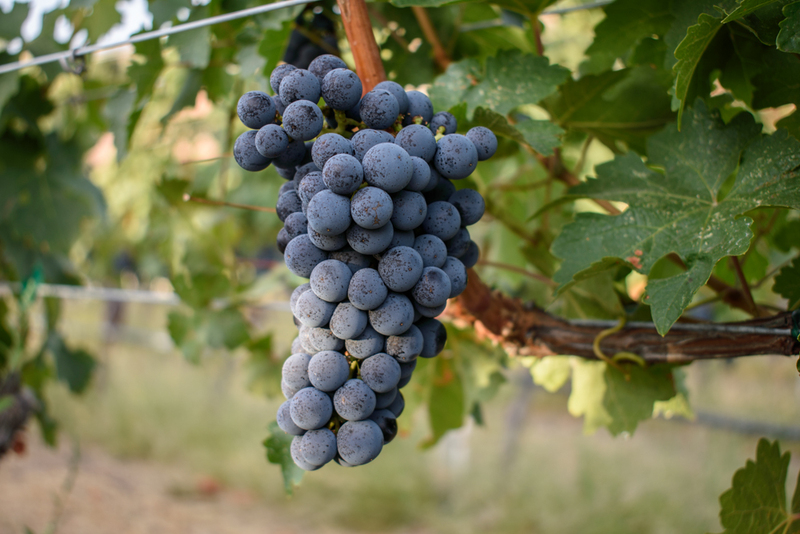 Jamie Goode argues that “by the time grapes taste ripe, they are overripe.” This is why using anthocyanin levels as a guide for harvest decisions can be incredibly useful. 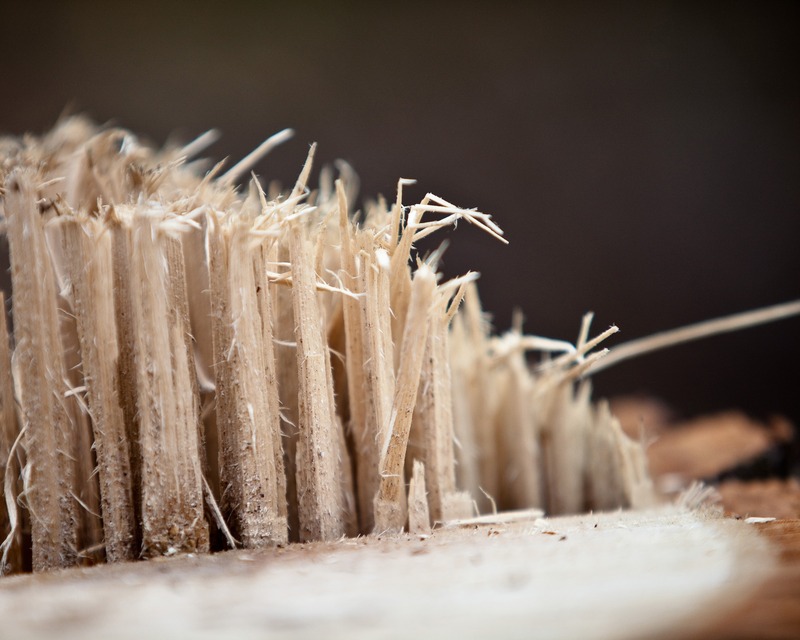 As a result, phenolic analysis is increasingly becoming an important tool in making harvest decisions. Some Napa wineries, after using phenolic analyses, have found that they could actually harvest fruit earlier than they previously thought. This makes sense: it’s impossible to measure anthocyanin levels with the human eye. It also provides context for the vintage. For example, is it a low, medium, or high tannin year? Phenolic analysis also helps to measure seed ripeness. It’s not uncommon to hear winemakers say they’re looking for brown or lignified seeds at harvest. The reason? 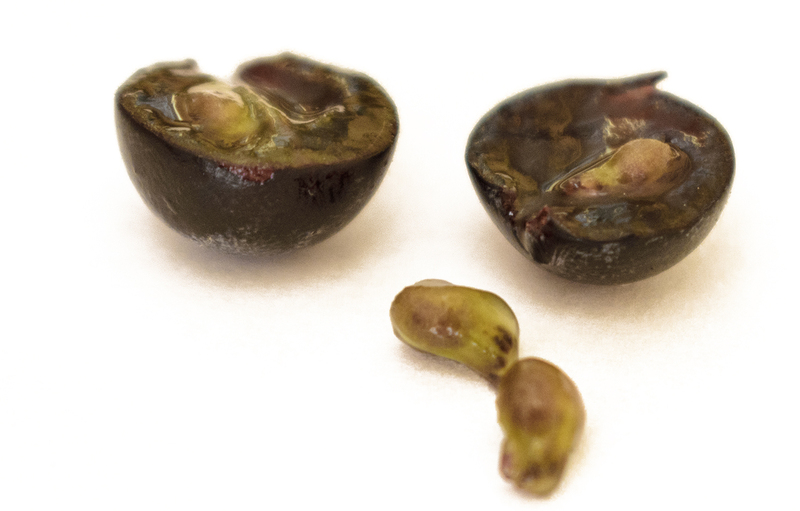 Grape seeds impart a harsh tannin that is easily extracted in alcohol. High levels of seed tannin can indicate unripe or green seeds. This will impact harvest decisions as well as how the winemaker treats the fruit in the winery. Seed tannin typically declines over the four weeks prior to harvest, but this varies by grape variety. For example, Pinot Noir has naturally high levels of seed tannin. Phenolic ripeness indicators are one – but certainly not the only – piece of the puzzle in making picking decisions. And this information will also influence how the fruit is handled in the winery. Part two of our look at tannin management will consider how phenolic analysis can be used to influence winemaking decisions after harvest.